The TESCORP "MGB" SERIES is a self-contained field gas and well head gas compression system for inlet pressures for 10"HgV to 8 PSIG and discharge pressures up to 150 PSIG. 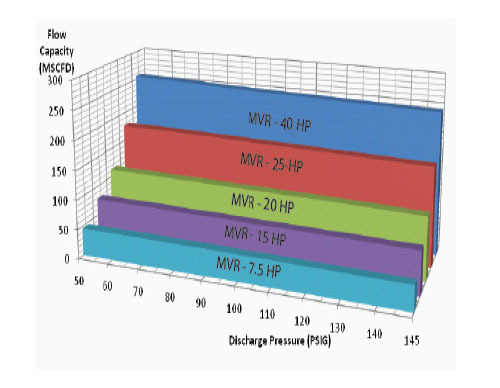 With proven TESCORP automated controls, components, and the rugged MVR rotary vane compressor,the MGB series of units are applicable to low inlet pressure applications of -10" HgV to 8 PSIG, discharge pressures to 150 PSIG, and flow capacities from 25 to 250 MSCFD. 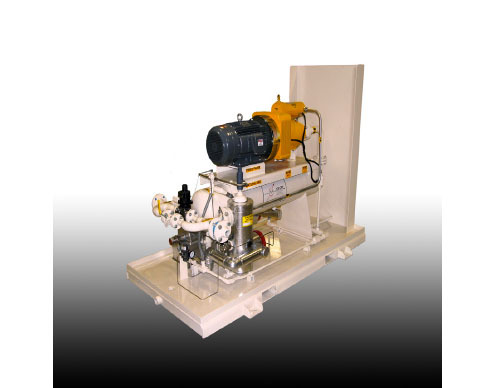 The MGB gas booster unit is a compact and fully-automated system for continuous operation in the harsh oil field environment. The unit is designed for ease of installation and simplicity of operation and maintenance. The unit is designed to accommodate factory options for various climates, operating procedures, and accessories for ease of application into the customers flow systems.